Connection to a MS SQL Server. Name, schema, or instance of the relational database. Additional JDBC parameters can be set in advanced settings. For the connection to a MS SQL Server, you can use the Windows Authentication (Integrated Authentication) instead of user and password entries for the connection. Those fields need to stay empty in Jedox Integrator (ETL) connection. 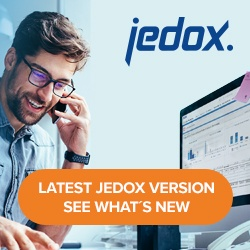 On the Jedox Integrator installation, you must check that JedoxSuiteTomcatService runs as a user who is allowed to log onto the MS SQL server Windows machine. This is usually the case when Windows users are part of a certain domain and can log onto different Windows machines (if you need to change the user, please see Accessing network files). This component allows to establish a connection to Microsoft Azure SQL database, a managed cloud database which is provided as part of Microsoft Azure, for read- and write-access. It also supports Azure SQL Data Warehouse. With the SqlServer connection, it is possible to connect to Dynamics NAV, an ERP software product from Microsoft (formerly known as Navision). The releases starting with Dynamics NAV 2013 and 2015 are supported, and they use Microsoft SQL Server exclusively as the underlying database server. Make sure the port is not blocked due to a firewall. Make sure that TCP/IP connection is enabled. This can be configured in the SQL Server Configuration Manager under “SQL Server Network Configuration” -> “Protocols for SQLEXPRESS”. (names slightly different for other SQL Server editions). Make sure that MS SQL Server is using the port mentioned in the connection, e.g. port 1433. The ports can be configured in the SQL Server Configuration Manager under “SQL Server Network Configuration” -> “Protocols for SQLEXPRESS” -> “TCP/IP” -> “IP addresses”. The port in the connection refers to the TCP Port under “IP All” (not to the TCP Dynamic port).